On behalf of Artech Digital C.A. I appreciate that you are on this page, that means that your data matter to you, and you want to know the fate of them and who collects them. The company name is: Artech Digital c.a. Our social activity is: Design, development, implementation and monitoring of Integrated Digital Strategies, everything related to Digital Marketing, Cleaning of reputation on Internet ORM, SEO – SEM Web Positioning, Software Development under DLT Blockhain technology and Tangle, Administration of Cryptoactive. These General Conditions of Use regulate the access, navigation and use of websites under the domain artechdigital.net, as well as the responsibilities arising from the use of content (text, graphics, photographs, information, programs, data, designs, music, images, codes) and any other content regulated under national laws and international treaties. All of the above is duly registered with the Main Registry and Artech Digital c.a. guarantees that the organizational and technical security measures required by the RGPD have been applied. This expresses the commitment to maintain and ensure business relationships safely through the protection of personal data and ensuring the right to privacy of each of the users of our website. A small approximation is important, therefore, you should know that it would be any information relating to a person who provides us when you visit our website, in our case name and email, and if you buy any product needing invoice, we will request full address, first name, last name and ID or CIF. Principle of data minimization: I will only request data strictly necessary in relation to the purposes for which I require them. Principle of limitation of the storage period: as you will see below, the data will be kept for no longer than necessary for the purposes of processing, depending on the purpose, I will inform you of the corresponding storage period, in the case of subscriptions, I will periodically review my lists and delete those records inactive for a considerable time. Principle of integrity and confidentiality: Your data will be treated in such a way as to guarantee adequate security of personal data and confidentiality. You should be aware that I take all measures to prevent unauthorized access or misuse of my users’ data by third parties. As stated in the regulations, the USER is informed that, through the contact forms or subscriptions, data is collected and stored in a file, with the exclusive purpose of sending electronic communications, such as: newsletters, new entries (posts), commercial offers, free webinars, as well as other communications that Artech Digital c.a. considers interesting for its USERS. The fields marked as mandatory fields are essential to achieve the stated purpose. The sale of training on Online Business. Manage the list of subscribers and users attached to the website. Manage its network of affiliates and merchants and the management of payments thereof. If you are over fourteen years of age, you can register at https://www.artechdigital.net/ without the prior consent of your parents or guardians. In this case, the consent of your parents or guardians will be an obligatory condition for us to process their personal data. Thanks to the consent, we can treat your data as a mandatory requirement to be able to subscribe to the website. As you well know, you can withdraw your consent at any time. I will keep your data for the time legally established or until you request to delete them. Obviously you are solely responsible for the veracity and accuracy of the data you send me, exempting me from any kind of responsibility in this respect. As a user, you must guarantee the accuracy and authenticity of the personal data provided and must provide complete and correct information in the various forms for capturing data. Artech Digital c.a. complies with the General Regulation (EU) on Data Protection, ensuring the correct use and processing of personal data of the user. In compliance with what is established in the regulations, we inform you that the data supplied, as well as those data derived from your navigation, may be stored in Artech Digital c.a. files and processed for the purpose of attending to your request and maintaining the relationship established in the forms you subscribe. Additionally, the USER consents to the treatment of their data in order to inform them, by any means, including email, of products and services of Artech Digital c.a. In case of not authorizing the treatment of their data with the purpose previously indicated, the USER will be able to exercise his right of opposition to the treatment of his data in the terms and conditions foreseen later in the section “Exercise of Rights”. Artech Digital c.a. informs you that it has implemented the technical and organisational security measures necessary to guarantee the security of your personal data and avoid its alteration, loss and unauthorised treatment and/or access, taking into account the state of the technology, the nature of the data stored and the risks to which they are exposed, whether they come from human action or from the physical or natural environment. All this in accordance with the provisions of the RGPD. Likewise, Artech Digital c.a. has established additional measures in order to reinforce the confidentiality and integrity of the information in its organization. Maintaining continuous supervision, control and evaluation of the processes to ensure respect for data privacy. Likewise, as you can see, the website has an SSL certificate which guarantees the security of your data. 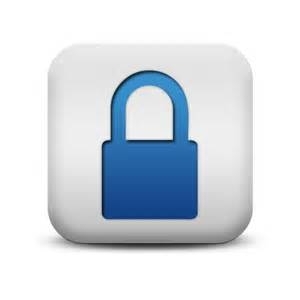 Those individuals who have provided their data through https://www.artechdigital.net/, may contact the owner of the same in order to exercise their rights of free access to their data, rectification or deletion, limitation and opposition with respect to the data incorporated in their files. The quickest and simplest method would be to access your user account directly and modify your data or delete your user account. Any information that we need to store, by virtue of a legal or contractual obligation, will be blocked and only used for these purposes instead of being erased. As a service to our visitors, our website may include hyperlinks to other sites that are not operated or controlled by the Website. Therefore https://www.artechdigital.net/ does not warrant, nor is responsible for the legality, reliability, usefulness, truthfulness and timeliness of the contents of such websites or their privacy practices. Please be aware that before providing your personal information to these non https://www.artechdigital.net/ websites, your privacy practices may differ from ours. 2 VILLAS LLC is responsible for the data file. It also has contracted email marketing services with the company Etison LLC, commercially identified as CLICKFUNNEL. To provide services strictly necessary for the development of my activity, https://www.artechdigital.net/ uses the following providers under their corresponding privacy conditions. https://www.artechdigital.net/ also looks at your users’ preferences, demographics, traffic patterns, and other information as a whole to better understand who our audience is and what you need. Tracking our users’ preferences also helps us show you the most relevant ads. The user and, in general, any natural or legal person, may establish a hyperlink or technical linking device (e.g., links or buttons) from their website to https://www.artechdigital.net/ (the “Hyperlink”). The establishment of the Hyperlink does not imply in any case the existence of relations between https://www.artechdigital.net/ and the owner of the site or web page in which the Hyperlink is established, nor the acceptance or approval by https://www.artechdigital.net/ of its contents or services. In any case, https://www.artechdigital.net/ reserves the right to prohibit or disable at any time any Hyperlink to the Web Site. In accordance with the provisions of the Law of Information and Electronic Commerce you can oppose the use of their information for advertising purposes, market research or development of satisfaction surveys at any time, as well as revoke your consent at any time (without retroactive effect). To do so, you must send an email to [email protected]al.net. If you have received publicity by e-mail, you will also be able to oppose yourself from this e-mail, clicking on the link included in it following the instructions that are facilitated to you. Another simpler way would be to access your user account and select the corresponding options. Please note that our systems may require a period of time not exceeding 48 hours for your opposition or revocation to become effective, it being understood that during this period of time you can continue to receive messages. In relation to the management of your data associated to the social profiles of Artech Digital c.a., the exercise of the right of access will depend on the functionality of the social network and the possibilities of access to the information of the profiles of the users. With regard to the rights of access and rectification, we recommend that you can only be satisfied in relation to that information that is under the control of Artech Digital c.a. In addition, the user will be able to stop interacting, following or receiving information from the social profiles of Artech Digital c.a., eliminate the contents that no longer interest you or restrict those who share their connections, by means of the mechanisms stipulated in the different social networks. The user will be able to access the privacy policies of each Social Network, as well as configure their profile to guarantee their privacy. Artech Digital c.a. encourages users to familiarize themselves with the conditions of use of the different social networks before starting to use them. 1) Content subscription forms: within the website there are several forms to activate the subscription managed by Infusionsoft and ClickFunnels for the purpose of sending email marketing campaigns, managing subscriptions and sending newsletters or bulletins. 2) Feedback form: The website includes a form whose purpose is to comment on the articles and give your opinion while respecting freedom of expression. The user will be able to publish comments in the posts that are published. The personal data entered in the form to insert these comments will be used exclusively to moderate and publish them, also collecting these data to be stored on WPengine servers. 3) Contact form: There is a contact form whose purpose is to answer questions, suggestions or professional contact. In this case the email address will be used to respond to them and send the information that the user requires through the web, these data will be stored on the servers of WPengine, Infusionsoft and ClickFunnels. 5) Users can unsubscribe at any time from the services provided by https://www.artechdigital.net/ from the same Newsletter through a cancellation form. 6) Tracking systems used on this site: Google (Analytics), https://www.artechdigital.net/ also studies the preferences of its users, their demographics, traffic patterns, and other information as a whole to better understand who constitutes your audience and what it needs. Tracking our users’ preferences also helps us show you the most relevant ads. Therefore, it is advisable to inform yourself about the functions and policies on the processing of personal data of the respective social network, if you access one of our websites with one of your profiles in social networks or share information through them. The User declares to have been informed of the conditions regarding the protection of personal data, accepting and consenting to the treatment of the same by Artech Digital c.a. in the manner and for the purposes indicated in the legal notice.